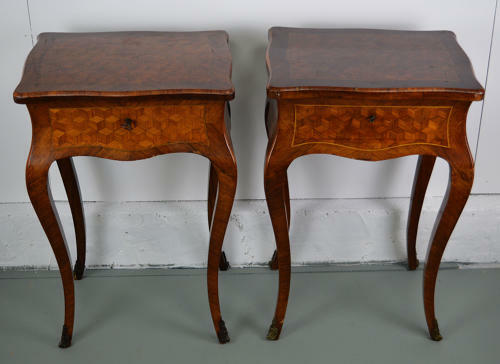 Late 19thC Louis XV style matched pair of lamp / vanity/ work tables. Both have a fixed mirror to the underside of the lid. One has a fitted drop in tray, the other open interior.